Egypt are the 2016 Africa handball champions after winning the tournament held at their home soil in Cairo between January 21st and 31st. 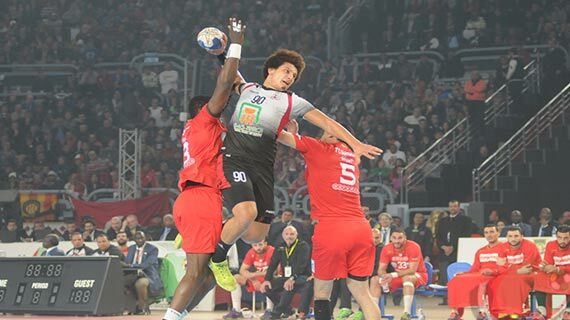 Egypt beat Tunisia 21-19 in the finals. With the win , Egypt has therefore qualified for the 2016 Rio Olympics and the 2017 International Handball Federation’s World Championships. Tunisia still have a chance to qualify for the Rio bonanza through the final Olympics qualification tournament where they will face Poland, Macedonia and Chile on April 7-10 at a yet to be confirmed venue. Additionally, Tunisia has made the grade to participate in the 2017 IHF World Championships. Third placed Angola has also booked a place at the 2017 World Championships. Angola defeated Algeria in the third place playoff 24-19. Kenya finished the tournament in the last spot after failing to win a single match.